In autumn, 1849, 14-year-old Janette Riker travels westward to Oregon Territory with her father and two brothers. Before crossing the Rockies, they stop briefly to hunt buffalo. The men leave camp early on the second day ... and never return. Based on actual events, and told in diary format, Stranded is the harrowing account of young Janette Riker's struggle to survive the long winter alone. 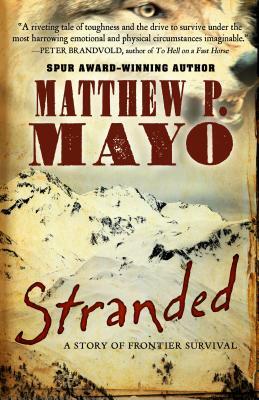 Facing certain death, and with blizzards, frostbite, and gnawing hunger her only companions, she endures repeated attacks by grizzly bears, wolves, and mountain lions. Janette rises to each challenge, relying on herself more than she knew possible. Her only comfort comes in writing in her diary, where she shares her fears, her travails, and her dwindling hopes.